Not everything fits into a nice, standard-sized package which is why Lloyd’s of Indiana offers custom-sized, GBC-compatible laminating pouches. Now, you can make your laminating supplies conform to your needs instead of the other way around. 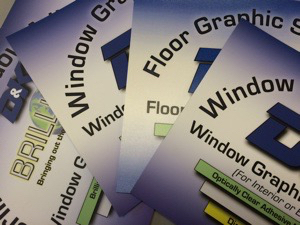 These custom laminating pouches are cut and cornered to your exact specifications and up to a maximum of 12″ x 18″. You dictate the size, the thickness of the laminate and even the depth of your round corners. And, like most of our laminating pouches, they’re designed to work with any laminating machine. We’ll even include a cover carrier with every order. A box costs $49.95, but please call us at 1-877-626-6848 for bulk prices or specialty orders above and beyond our online sizes. To order our custom GBC-compatible laminating pouches, visit our website. I ordered a custom size laminating pouch from a company called Alps or laminate com. They got them out to me really fast and the quality was great. They even had a lanyard slot and rounded corners.